Across the country, mayors, commissioners, superintendents, governors, and state policymakers are innovating to address the needs of vulnerable youth. These efforts take many forms: restructuring high schools to improve graduation rates, creating developmentally appropriate interventions to reduce juvenile delinquency, and revamping child welfare practices to keep more youth safely in their homes are just a few of these strategies. Many initiatives, however, are plagued by "crosscutting problems" -- issues that cut across the different agencies that serve youth. Unless crosscutting issues are addressed proactively, they may undermine systemic reforms. 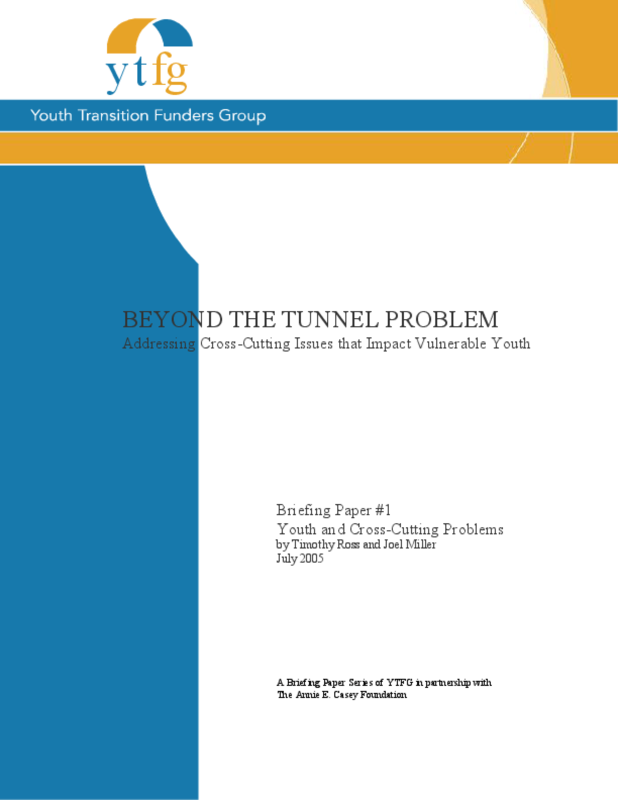 This short paper is the first in a series of briefing papers designed to inform officials, practitioners, funders, advocates, scholars and the general public about crosscutting problems and possible solutions to these problems. This paper focuses primarily on the authors' experiences in New York City, though many of the crosscutting problems discussed are known to occur in many jurisdictions large and small. The series starts by presenting a typology of crosscutting issues. The next paper in this series will elaborate on a specific area -- namely, juvenile justice and education. Additional briefing papers will focus on local initiatives that tackle specific problems and more systemic attempts to solve crosscutting issues. Copyright 2005 Timothy Ross and Joel Miller. All rights reserved.